Companies can no longer “go it alone”–vertical integration and direct control over distribution channels, once winning strategies, now must be replaced with a partnership and joint value creation focus. 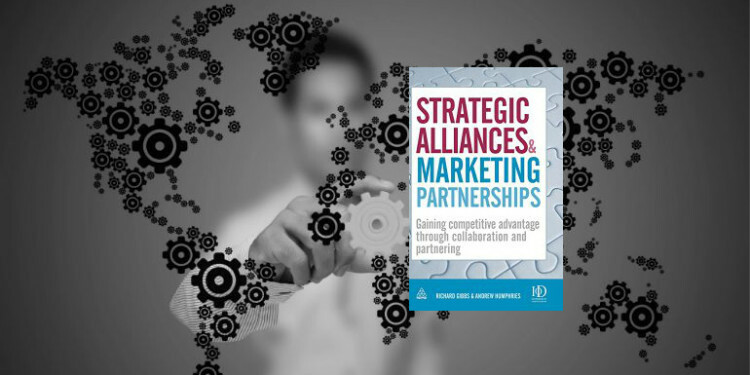 Strategic Alliances and Marketing Partnerships seeks to answer two key questions: Why are some partnerships more effective than others? and How can I predict the likely outcome of the partnership and take steps to improve its performance? Gibbs and Humphries present eight partnership archetypes along with relationship management recommendations. For each type of partner, they provide techniques for identifying and resolving roadblocks and issues. Not surprisingly, the book essentially advocates moving from an entrenched, command and control, transactional mindset to an open, trusting, and highly committed stance towards partners. Jointly crafting objectives and performance measures are key tools for success along with openness to understanding the other company’s business and goals. Companies may choose partnership strategies in order to acquire skills and capabilities they lack or to gain prestige through a relationship with a market leader. Other motivations include competitive threat neutralization and joint value creation (especially when neither firm could create the value on their own). The focus on relationship strategies is an outgrowth of outsourcing and supply chain management. Evaluating core vs. context capabilities can help identify which activities to consider for acquiring outside the current enterprise boundaries. This way, unique relationship become part of a firm’s core assets and differentiation. However, traditional siloed management approaches and insular performance measurement techniques will not create new value from partnerships. A collaborative mindset with a focus on joint value creation is required for effective alliances and business relationships. What industry changes have impacted your firm’s business model in the last 5 to 10 years? To what extent are your competitors today the same as five years ago? How has your firm’s business model changed in the last five to ten years? How will it change in the next five to ten? What percentage of your firm’s total revenue can be attributed to working with upstream and downstream partners? How adversarial are your negotiations with supply chain partners? To what extent do your IT systems interface directly with partners? How would your current and most recent partners describe your partnering maturity? List five investments that your firm has made in your partnerships that have/have not yielded the desired outcomes. What factors have determined whether these investments were ‘successful’ or not? List five things that your partnerships have taught you in the last five years. What changes to your processes have come about as a consequence of learning from your partnerships? What measures do you use to evaluate the quality of your partnering? Do you current KPIs give you the information and confidence to manage these partnerships effectively? Would they give you enough time to act if a relationship were going wrong? One chapter of the book is devoted to discussing positive and negative relationship spirals–cycles which reinforce and grow the relationship or which cause it to disintegrate and fail. Many companies hold back due to fear of losing hard dollar investments in partnerships that appear opaque. A high level of risk can be assigned to partnerships because priorities and leadership may change, adding to the lack of control over outcomes and deliverables. Likewise, assets may be stranded if the relationship is not successful.